Before Bruce Springsteen and the E Street Band finish the second U.S. leg of its world tour, many of its members will attend Little Kids Rock's 10th anniversary Right to Rock Celebration, sponsored by the House of Marley and 1Love.org. 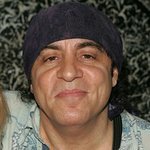 On October 16th in New York city Steven Van Zandt will be presented with the “Big Man of The Year Award,” given annually to honor the legacy of the late, great Clarence Clemons. Van Zandt joins past honorees Lady Gaga and The Big Man himself. The event is being co-chaired by actress Maureen Van Zandt and E Street Band drummer Max Weinberg. The gala will resemble an all-star rock and roll festival with Van Zandt performing alongside many of his musical friends, including Elvis Costello, Dion DiMucci, Tom Morello, Darlene Love, Southside Johnny, Kris Allen, Rubén Blades, Gary U.S. Bonds, Michael Des Barres, Michael Johns, Jesse Malin, Jake Clemons, NYC Hit Squad and more surprise guests expected to attend. Little Kids Rock students will join these rock legends on stage to perform along side and celebrate the joy of music. The event, sponsored by The House of Marley and 1Love.org, will be held on Tuesday, October 16 at the Manhattan Center’s Grand Ballroom and will run from 6:30pm until the music stops. Table sponsorships are available for purchase and limited balcony-level tickets for the show (no bar or dinner) will be made available next week. For more information visit www.littlekidsrock.org/rtr12/sponsorship.htm. A key part of the evening will be the live and silent auctions (opening online in the weeks leading up to the event and concluding live at the October 16th event) featuring hard-to-find treasures like a keyboard signed by Lady Gaga, a guitar signed by Bruce Springsteen and the E Street Band (with Jake Clemons making the piece a “first of a kind”), a tour of NFL Films and the set of Inside the NFL with Phil Simms, a custom guitar featuring Bob Marley hand painted by famed tattoo artist Mister Cartoon, an exclusive dinner with Maureen and Steven Van Zandt, a 5-night stay at one of the Hard Rock All-Inclusive Collection Resorts and much more. The funds raised by this once-in-a-lifetime musical extravaganza and unique auction will help Little Kids Rock bring the gift of music education to disadvantaged youth across the United States. The funds from this event and auction will enable Little Kids Rock to bring free lessons and instruments to over 100,000 disadvantaged public school students in 12 states. Together, The House of Marley and 1Love.org are this year’s presenting sponsors of the Right to Rock Celebration and an ongoing partner with Little Kids Rock. The House of Marley is a collection of premium quality, earth-friendly lifestyle and personal audio gear, created in partnership with the Marley family, and donates a portion of all sales to 1Love.org, the Marley family nonprofit organization that focuses on youth, planet and peace. During the event, 1Love.org will announce a surprise fundraising project with Little Kids Rock that honors the spirit and artistry of the legendary Bob Marley.